‘The Walking Dead’ Returns February 8th! Season 5.5 of AMC’s hit zombie show ‘The Walking Dead‘ is just around the corner. In fact, it starts on February 8th and will pick up right where the last episode left off. I’ve been keeping current with the comic books, and I’m curious of where in the books season five will end. Only time will tell. 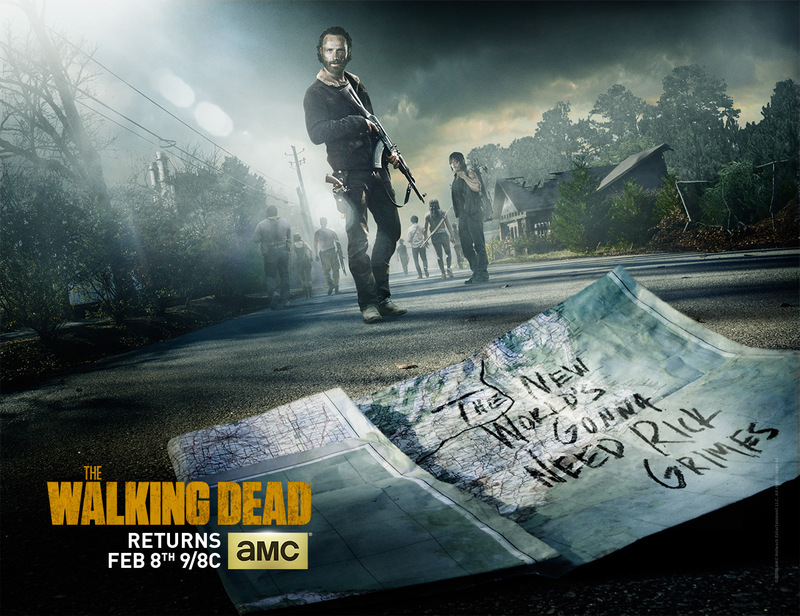 Above is the official poster for the midseason premiere, which shows Abraham’s note. Enjoy. ‘The Walking Dead’ Season 4 Recap – Episode 12 ‘Still’!! This entry was posted on Thursday, January 8th, 2015 at 6:10 pm	and is filed under News, Television. You can follow any responses to this entry through the RSS 2.0 feed. You can skip to the end and leave a response. Pinging is currently not allowed. « Edward James Olmos Coming to ‘Marvel’s Agents of S.H.I.E.L.D.’!! !